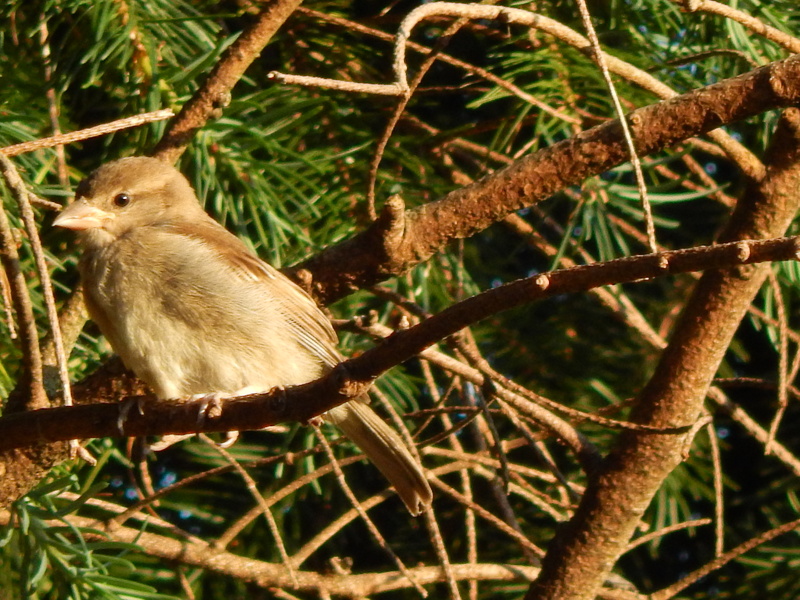 This little Sparrow and his family were sitting up in the tree next to our yard. Something got the attention of the flock and they all winged it away in mass. The baby who probably doesn’t fly that great and does not have flock flying confidence stayed put on his branch. 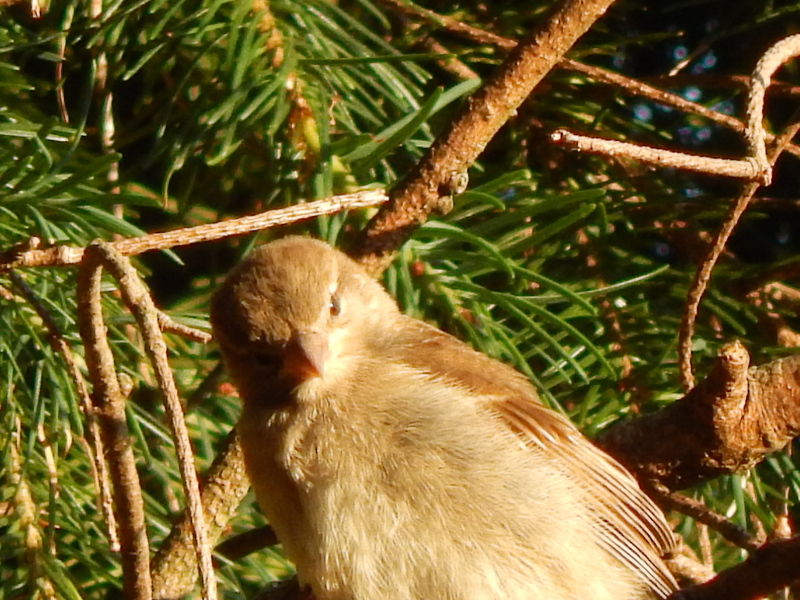 After a little bit he dozed off in the setting sun’s warmth. Here he is right after the flock flew off in a hurry. See how fluffy and light colored he is? Baby bird down feathers make him look like a plush toy. Next he took a little nap as you can see in the first picture. His eye membrane covered his eye and he dozed away for about 5 minutes. When he woke up he realized I was sitting on the deck clicking pictures of him and gave me this “What are you looking at?” look.